Maybe the most magical thing about mushrooms is that I learned to like them at all. They were persona non grata at our dinner table when I was growing up, and it wasn’t until the junk food nights of college that I started to accept them as a pizza topping, then as the main ingredient in a meal, and finally raw, the way hobbits and Tolkien intended. 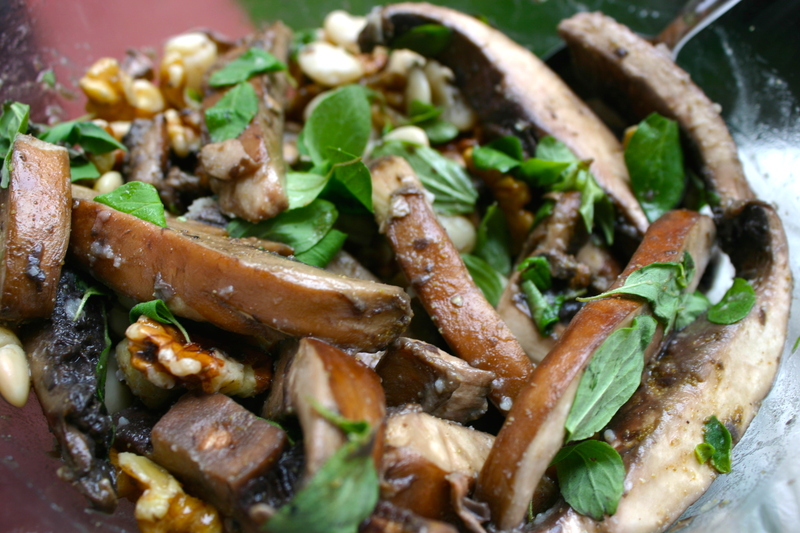 Raw mushrooms demand a marinade—something that will temper the earth flavor as well as break down some of the tough cell walls. This recipe, adapted from Yotam Ottolenghi’s excellent vegetable omnibus, Plenty, pairs them with a tahini yogurt sauce for a Middle Eastern take on Middle Earth. 1. In a small bowl, combine oil, vinegar, cumin, maple syrup and lemon juice, plus salt and pepper to taste. Add mushrooms to a large bowl, then pour dressing over. Cover and set aside 1 hour. 2. In another small bowl, whisk together yogurt, tahini, garlic and zaatar. 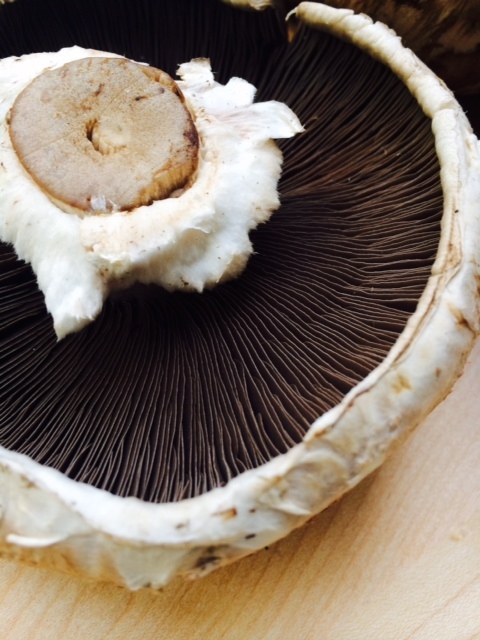 Cover and refrigerate until mushrooms are ready. 3. Drain liquid from mushrooms and return to the bowl. Add butter beans (drained and rinsed), walnuts and fresh oregano leaves. Serve in small bowls with a dollop of yogurt sauce. Please correct Tolkien’s name. It’s such a glaring error! He happens to be my favorite author, but I do understand that like mushrooms, Tolkien is not to everyone’s taste. 🙂 Thank you for all of the posts–yours in one of my favorite food blogs. It’s been corrected. Embarrassing 😉 So glad you’re enjoying the blog, and thanks for your kind words and edits! This looks INCREDIBLE! I love mushrooms. Love them. I can’t wait to try this, thank you! This is so timely… I’ve had a package of portobellas staring at me from the fridge for a few days now. And I’ve also been on a major Ottolenghi bender, so I’m shocked I haven’t marked this one out in Plenty yet. Thanks for the inspiration! Made a Mushroom Stew with Ox-Tail last night, and now I have another mushroom recipe for the week. We’re reading The Two Towers to our son, so this will be a perfect pairing. 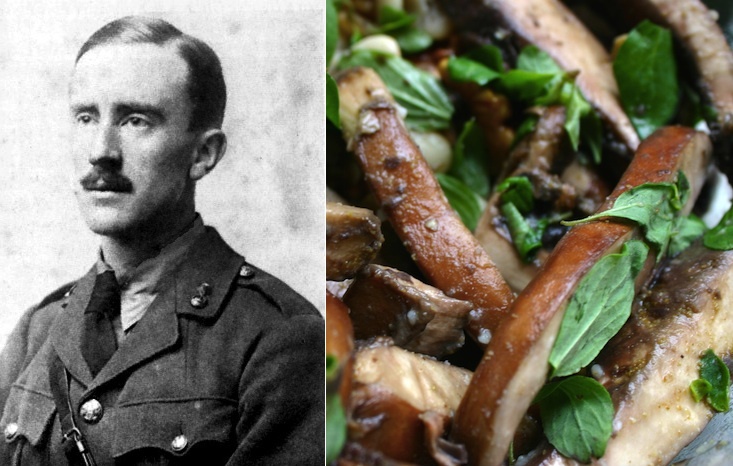 Tolkien, mushrooms, what more do you need? I think I’ll pair this with a Bordeaux. And a log in the fireplace. I, like you, have never really enjoyed Tolkien – I think it’s the fantasy as you say. I think I did finally manage to finish The Hobbit but haven’t bothered with any of the others – this recipe does look very good. Sizler de böyle muhteşem yemekler yapabilmek istiyorsanız buypasa.com adresine girerek harika yemek kitapları satın alabilirsiniz.